What mysteries are hidden in the book Ra's al Ghul hired Catwoman to steal? And why does this caper lead Batman down memory lane-to his childhood fight against actual Nazis? 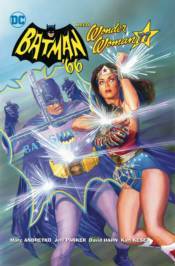 Witness the Caped Crusader's first encounter with one of the greatest heroes the world has ever known: Wonder Woman! Collecting the six-issue miniseries!